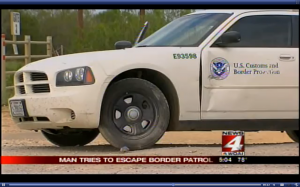 Border Patrol agents opened fire on a stolen car when the driver tried to run over agents in a desperate attempt to flee Tuesday, News 4 WOAI reports. The incident happened after agents pulled over the car after discovering it was stolen. 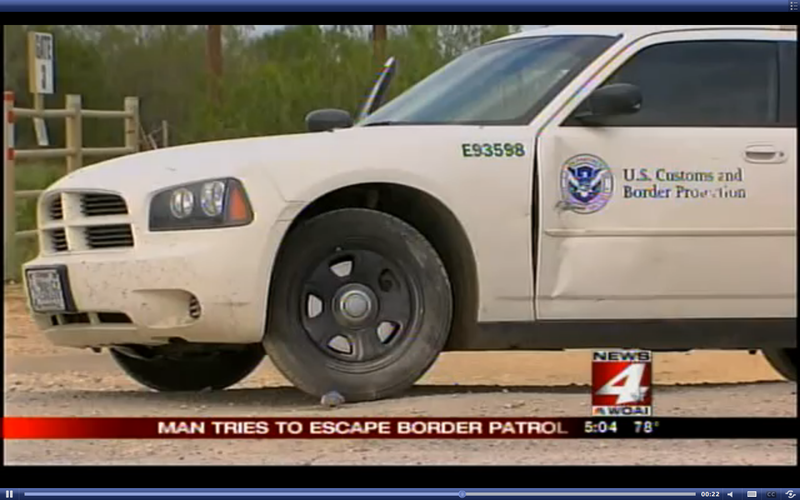 But when agents got out to talk to the driver, he reversed the car and tried to hit the agents, a Border Patrol spokesperson told News 4. After agents opened fire, the driver crashed through a fence and hit a tree before the car caught fire, News 4 reported. Agents rescued the driver, who was in serious condition at a San Antonio hospital, according to News 4. Posted: 10/10/12 at 8:38 AM under News Story.